Do you need antibacterial soap? Does it eliminate more germs? Are antibacterial soaps more likely to prevent colds and flus? Mounting evidence indicates that antibacterials are no more effective than regular soaps at getting rid of germs and preventing illness. The majority of frequently acquired infections, including the common cold, are caused by viruses rather than bacteria, so killing bacteria won’t prevent them. Although bacteria are also responsible for a number of nasty infections, a large-scale study conducted by Larson et al. 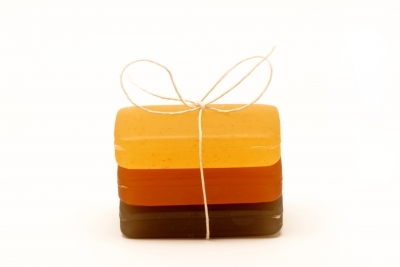 (2004) found that regular soaps are just as effective as antibacterial soaps at removing bacterial microbes. The soap study involved 238 households (1,178 people) in New York, and was double-blinded, meaning that neither participants nor researchers knew which subjects were using which type of soap. Microbe cultures taken after hand washings found that both subjects using regular soap and those using antibacterial soap had significantly fewer microbes on their hands, but no differences were found between the two groups. A recent systematic review of 27 soap studies conducted by Aiello, Larson, and Levy (2007) found that antibacterial soaps were no more effective in preventing infectious illnesses or reducing bacteria levels on hands than regular soaps. Overall, it appears that antibacterials provide no additional health benefits. According to Dr. Jean Weese of theAlabama Cooperative Extension System, regular soap is as effective as antibacterial soap because the germ-reducing function comes from removing microbe-infested substances from the skin rather than the soap’s antibacterial properties. For an antibacterial agent to provide additional benefits, the soap would have to remain on the skin for a prolonged length of time. In other words, it would have to be used like a lotion rather than rinsed away to provide sufficient time for the bacteria-killing agent to take effect. Scientists have raised concerns that an agent commonly used in antibacterial soaps called triclosan may encourage the rapid evolution of super bugs, bacteria that are resistant to antibiotics. The super bug theory is controversial, and not all experts agree that antibacterials pose a risk. However, of the 27 soap studies reviewed by Aiello et al., several provided evidence supporting the super bug theory. Washing hands regularly is the best defense against microbes. Washing thoroughly with soap and water, particularly after touching surfaces in public places (such as stair rails) or engaging in physical contact (shaking hands) and before eating, will significantly reduce the risk of infection. Soap and water are the most effective germ eradicators because they also remove surface dirt, but waterless alcohol-based antiseptic hand sanitizer products are also good germ killers when there is no water available. Aiello, A.E. ; Larson, E.L.; & Levy, S.B. (2007). “Consumer Antibacterial Soaps: Effective or Just Risky?” Clinical Infectious Diseases, 45(Suppl. 2): S137-147. Infection Control Today. (13 February 2003). “NIH-Funded Study Says Antibacterial Soap No Better Than Regular Soap.” InfectionControlToday.com. Larson, E.L.; Lin, S.X. ; Gomez-Pichardo, C.; & Della-Latta, P. (2004). “Effect of Antibacterial Home Cleaning and Handwashing Products on Infectious Disease Symptoms: A Randomized, Double-Blind Trial.” Annals of Internal Medicine, 140(5): 321-329. Snyderman, N.L., MD. (2008). Medical Myths That Can Kill You: And the 101 Truths That Will Save, Extend, and Improve Your Life. New York: Crown Publishers.